Posted on September 30, 2015 at 1:36 pm. Colin Patchett was born in Bradford in 1894. 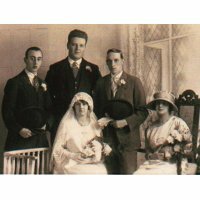 In 1911 Colin is living with his widowed mother Angelina, his sister Clara and his cousin Ethel Dyson. 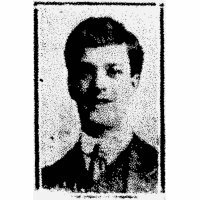 His 1911 Census entry listed his occupation as ‘none.’ The following year Colin enlisted in Halifax into the 3rd Reserve Battalion of the West Riding Regiment . On his attestation his occupation is listed as ‘millhand’ and he is described as being 5 foot 3 ½ inches with a fresh complexion, grey eyes and brown hair. 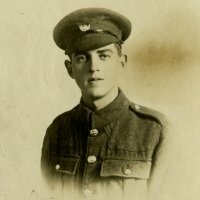 Colin transferred to the 2nd Battalion of the King’s Own Yorkshire Light Infantry and on the outbreak of the First World War, went to the front with the British Expeditionary Force. Colin is ‘presumed dead’ on the 26th of August 1914, just 11 days after the 2nd Battalion arrived at the front. His mother Angelina, living at 18 Picton Street, Lumb Lane, Bradford, did not receive an official confirmation of her son’s death until February of 1916. Colin features on the La Ferté-sous-Jouarre Memorial to the Missing which commemorates the men fallen at the battles of Mons, Le Cateau, the Marne and the Aisne with no known graves. It is likely that Colin was killed at Le Cateau. 1914-08-07 - : The British Expeditionary Force arrives in France.